New for the season comes the Dakine GORE-TEX Continental Mittens. Reliable and versatile, the Continental comes with a warm fleece lining plus a PrimaLoft® insulated removable liner for trustworthy warmth any time of the year. Featuring an adjustable hook and loop cuff closure and top notch GORE-TEX waterproofing and breathability. GORE-TEX Waterproof/Breathable Membrane – Always best in class, with the highest combined levels of waterproofing, breathability, durability, and softness available, while providing optimum comfort and protection. Any glove with a GORE-TEX label carries their Guaranteed To Keep You Dry™ promise. Durable Water Repellent Leather – A unique tanning process infuses the leather with a waterproofing agent and compound dye yielding a premium leather for the ultimate in comfort and durability. 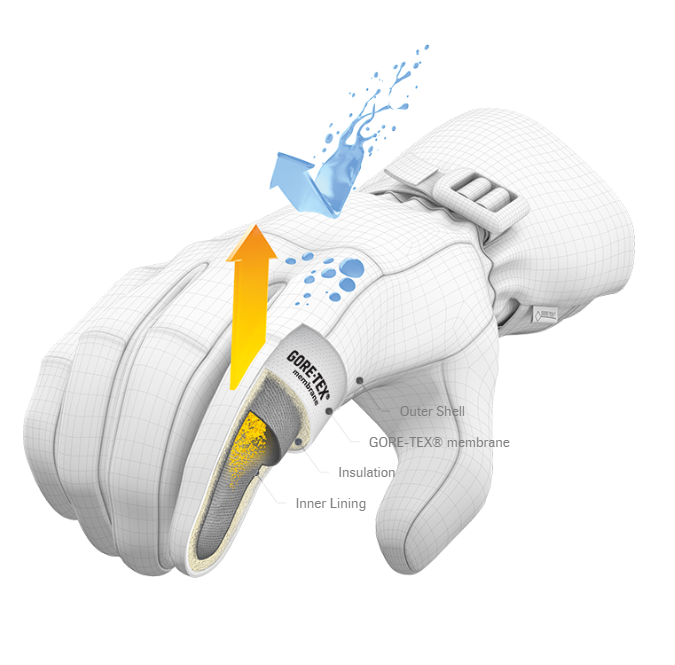 Warmth Index: 4 – Gloves and mitts are rated from 1 - 5 based on the amount of insulation and lining materials. Styles with a warmth rating of 1 are designed for warmer weather conditions or riders who require less insulation. At the other end of the spectrum, gloves or mitts with a rating of 5 are the warmest styles for the harshest conditions, and for those who need maximum warmth.